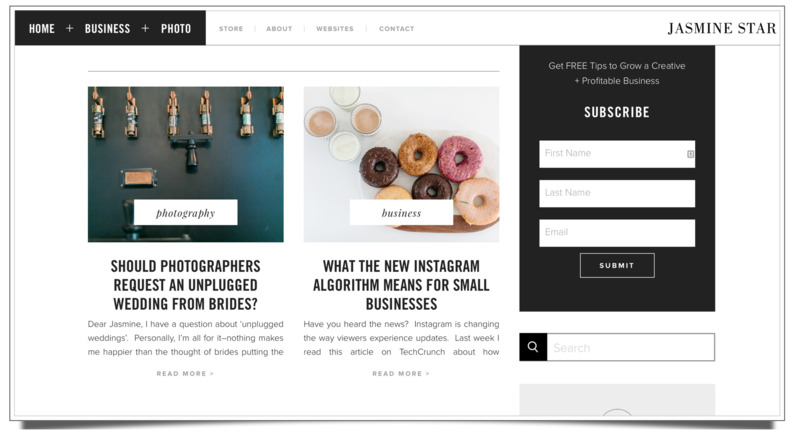 A side-by-side post layout can be used for a Blog (Post List) template and as a Featured Posts (Posts View Lookup) canvas section within any blog template. In this example we'll use jasminestar.com/blog for reference. 1. 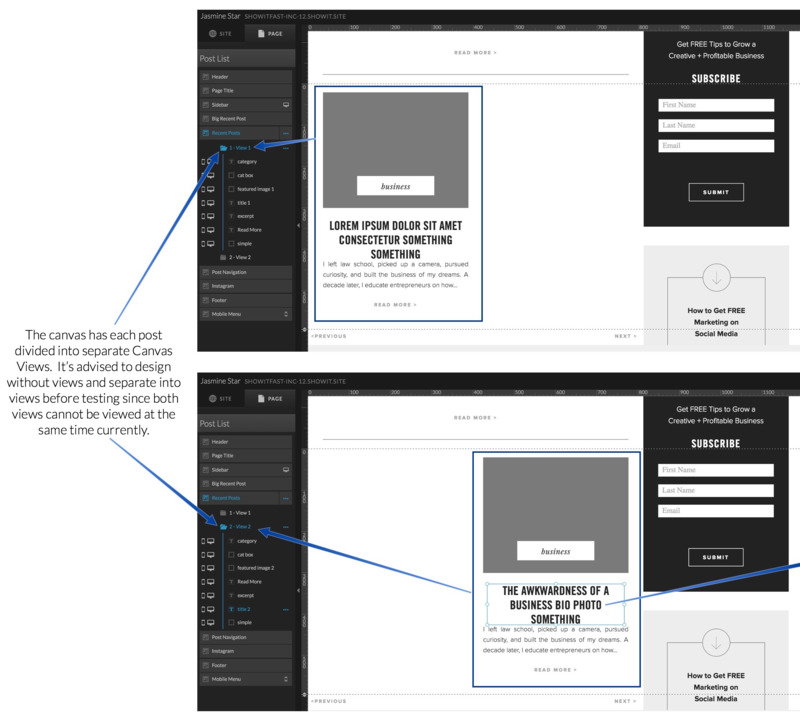 Create a new canvas that will contain your horizontal side-by-side posts. Typically this is 2 or 3 posts next to each other. (It can automatically repeat vertically). 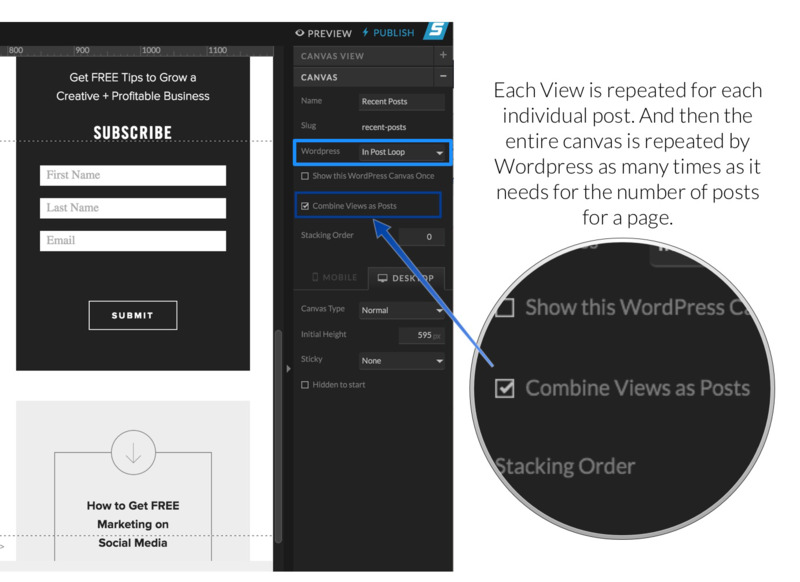 (Optional) You can choose for this layout to not repeat for additional posts by selecting "Show this Wordpress Canvas Once". Tip: If activated it will need to be followed by another In Post Loop canvas for additional posts to show. 3. Layout your posts: Keep in mind that text placeholders should use the Text Style > Overflow: (Single Line, Crop) settings to avoid overlapping of text because expanding objects won't move around each other within the same canvas. 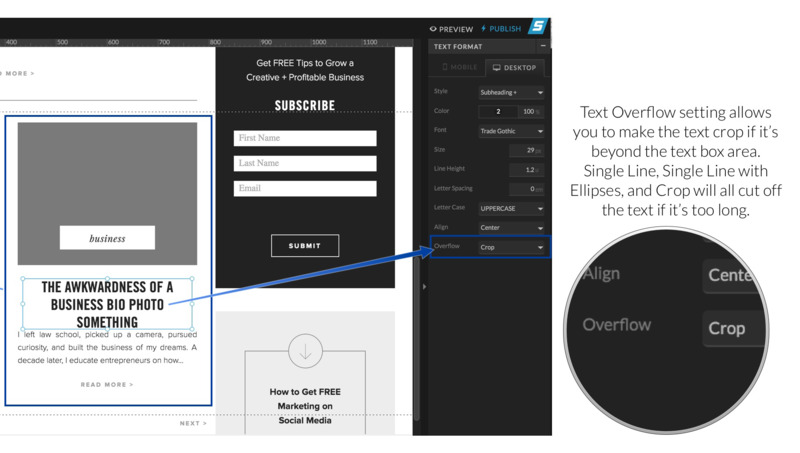 Stack your posts vertically on mobile in the same order that the posts appear left to right on the desktop layout. Check text overflow settings on both mobile and desktop layouts. Use the alignment tools that appear on the right sidebar when multiple objects are selected. 4. Separate the posts into separate Canvas Views once you have everything aligned and formatted. You will only be able to view one post at a time (each in a separate canvas view) after this step.